1) The Rivington Project - "Navl Gazr"
If anyone wants a full sized pic, let me know and I can email it to you. Breakfast is in the middle. 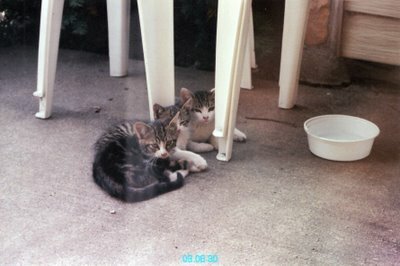 This is shortly after we first discovered them outside our door. 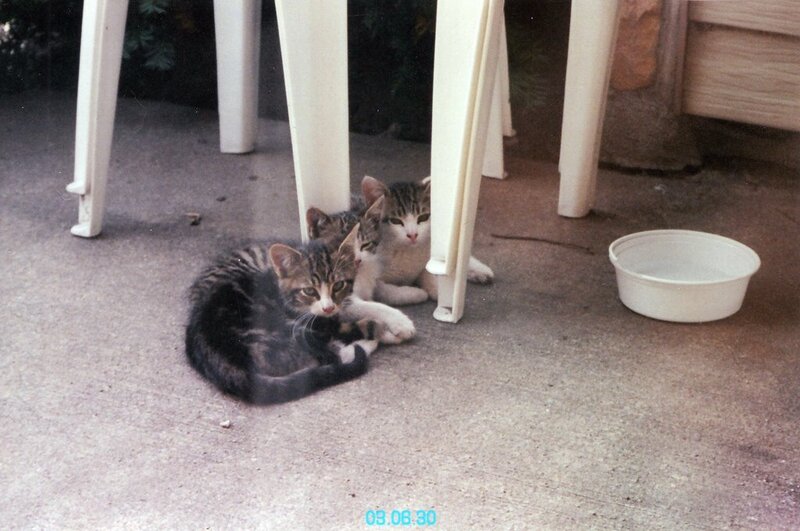 First time we tried to get them to the vet (around this time) they weighed less than a pound. Notice the way Breakfast is holding hands with Lunch.